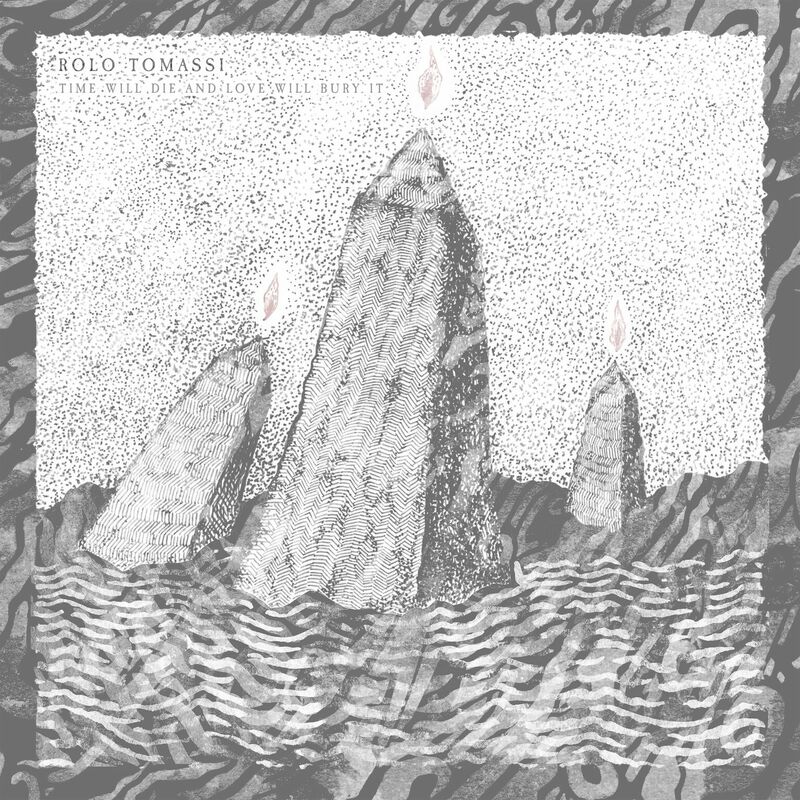 Coming out on March 2nd in Germany, „Time Will Die And Love Will Bury It“ will mark Rolo Tomassi’s fifth studio album. The record as a whole feels like the next logical step in their musical evolution. Compared to their 2015 work „Grievances“ there’s a much bigger range of mood and atmosphere packed in it. The record is filled sonically with both bright – almost blissful – moments and of course their much heavier gloomy counter parts. Due to which the album features many changes in tone and temper that are immediately noticable yet natural, making the listening experience feel like an actual emotional and musical journey. One example of such change in pace is the segue from „Aftermath“ into „Rituals“. Coming from the synthy and sampled choiry vocals featuring intro „Towards Dawn“, „Aftermath“ continues the rather light atmosphere and redeems itself as one of Rolo’s most upbeat songs. Achieved by a comparedly minimalistic instrumental approach with James Spence leading the melody on his synth and Eva Spence’s hopeful sounding clean singing throughout the song. As it fades out, however, there is a tonal change creeping in as „Rituals“ comes on. The rather quiet and calm instrumentation is replaced by blasting drums, Nathan Fairweather’s gnarling bass and a perfect blend of overdriven guitar and fuzzed synths. Where there where beautiful clean vocals are now harrowing screams and shouts. Being arguably the heaviest track on the record, „Rituals“ wrests the mood from being lighthearted into being filled with angst. After feeling like being battered at a scramble the seven and a half minute opus „The Hollow Hour“ chimes in continuing with a somber, but first calmer mood – giving the listener a bit of room to breathe – before taking off itself. On every previous LP Rolo Tomassi have shown just how capable of composing long and atmospherically packed songs they are – in their closers. This time, with „Time Will Die And Love Will Bury It“, they do it amidst the album with songs like „The Hollow Hour“ (7mins), „A Flood Of Light“ and „Contretemps“ (both 8 minutes) and it’s astounding how good these are blending in. All of these could be seen as anchor points of the album while being much different in structure and atmosphere. „The Hollow Hour“ is a song that has fast and abbrasive, but also relatively quite passages that are at first exclusively alternating, and then build into a blend with elements of both – like transitioning from a dialogue into a duet. The passages are contrasted by instrumental pacing and presence, as well as by a vocals alternating between harsh screaming and serene singing. 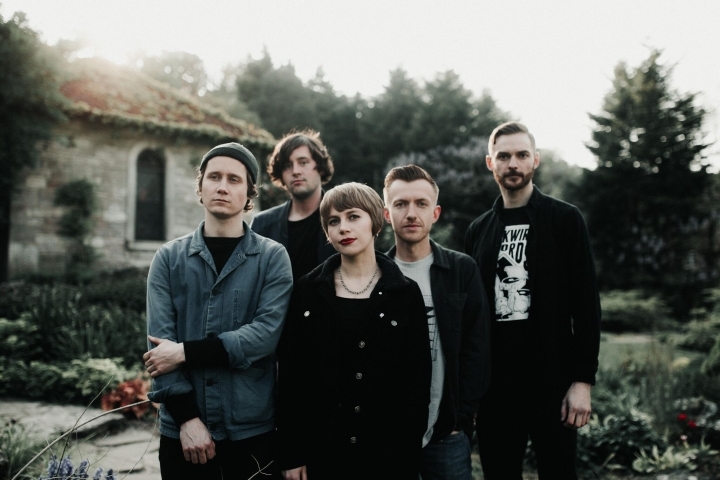 Coming from two rather fast paced songs „A Flood Of Light“ begins with a stripped down synth-play that evolves into a more complex texture being saturated by bass, sublte guitar plucking and plain drums. The mix of lamenting screams and melancholic singing contributes to the sound’s bleak ambience. Approaching the middle of the song, the melody is again stripped down to a solitary synth-line. This time around the melodical build-up happens in a much more calm manner and has a more upbeat tune to it. Mostly due to the approach in vocals, the ending portion of the song feels somewhat like a less cheerful rendition of their 2012’s „Mesmerizer“. With just Eva Spence’s singing and a quieter synth that is slowly fading out the song dies out letting „Whispers Among Us“ on with which the record delves into it’s last reprise of angst and agression. „Contretemps“ feels like what would usually be the closer for a Rolo Tomassi record. It begins with a melancholic keyboard solo that is then being complemented with upbeat drum-playing of Tom Pitts and distorted guitar and bass cutting in and out of the song before engaging in a layered melody supported by guttural screams that leads into a crescendo of Chris Cayford’s heavily fuzzed guitar-riffs. After the song comes to a calm once again, a textural melody chimes in consisting of quiter drums, subtle and long sustained bass notes and a leading keyboard, all accompanied by clean singing. With an again brightened atmosphere, „Risen“ comes in as the album’s closer. 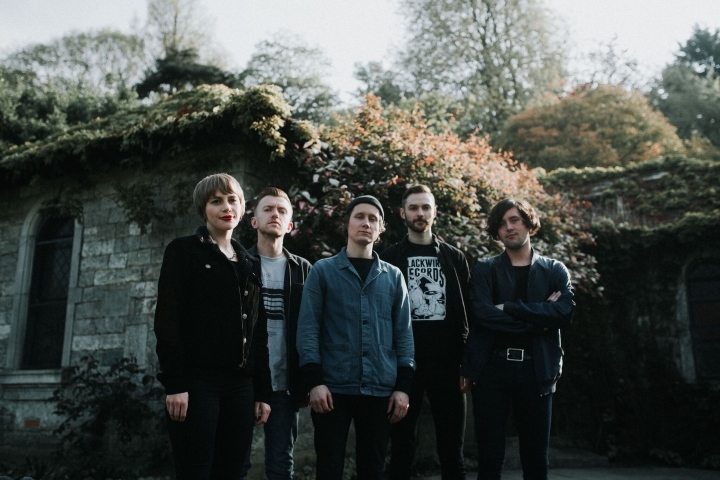 It reminds a bit of atmospheric Indie Rock from bands such as Daughter or even Mogwai to some extent. It features calm and arpeggio filled guitar textures being supported by a lighter keyboard-melody with sustained notes that also acts as the melody for the softly sung vocals.